When you have chefs of the calibre of Kylie Kwong, Neil Perry and Jamie Oliver placing orders from their kitchens, you know you’re doing something right. Beth McMillan’s day job may be teaching music at Kempsey’s St Paul’s College, but away from school she is the marketing guru for a thriving agribusiness she runs with her ex-teacher husband Hayden. 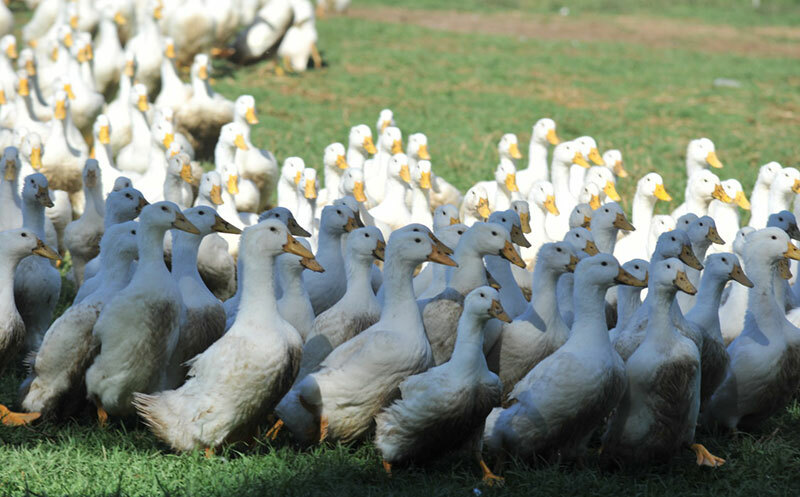 Connoisseurs both in the kitchen and on the land, Beth and Haden pride themselves on sustainable organic farming, producing small numbers of premium quality pasture raised chickens, ducks, seasonally available game birds and free range duck eggs. Their business, Burrawong Gaian, is located at Barraganyatti just north of Kempsey within the Macleay Valley Food Bowl precinct. Named a Finalist in the 2013 Delicious Awards and proud promoters of Humane Choice, Beth and Hayden say that raising livestock in a natural, open-range environment allows their livestock to forage and express their character, free from chemical additives, artificial hormones and medications. “We are committed to the preservation of rare breeds threatened by large scale industrial agriculture and we support the Rare Breeds Trust and the Humane Choice of ethically produced food,” Beth said. The birds are able to forage freely due to the way they are accommodated within large, transportable fences, which allow them to roam far and wide and are rotated regularly around the property. 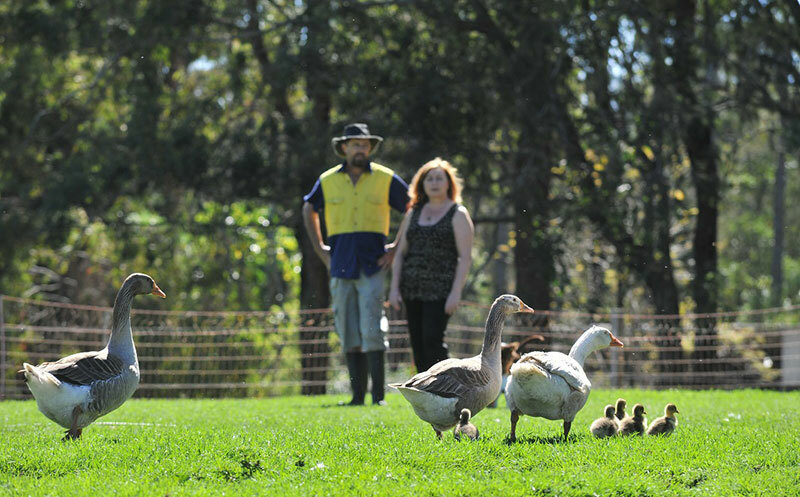 A spin-off of the business is hosting a growing number of chefs – and often their families – for site visits to the property to see first-hand how the birds are raised and processed. In January 2015, Beth and Hayden hosted English chef Andy Ball from the Ready Steady Cook television program and his family. “We have a growing number of chefs who are interested in experiencing the pasture raised model here at Burrawong Farm,” Beth said. The farm’s growing profile is in no small part due to Beth’s passion for social media, marketing and networking. She also promotes the product at high profile events like the Noosa Food & Wine Festival, as well as holding a regular stall at the prestigious Eveleigh Markets in Redfern, Sydney, which is home to Sydney’s award winning Farmers’ and Artisans’ Markets. 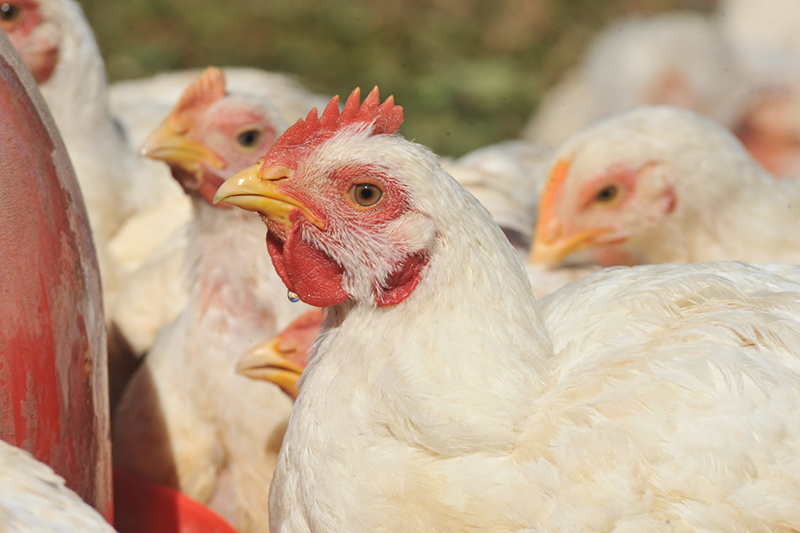 The next stage for the business is to increase production by encouraging other local landowners to assist with supplying birds to Burrawong’s quality standards to increase volume and satisfy market demand.